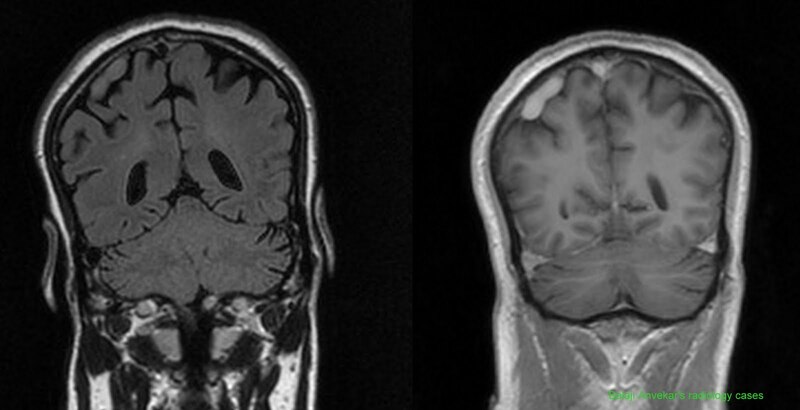 An isolated well defined tubular cord like structure in right parietal cortical sulcus underneath the dura going towards superior sagittal sinus with profuse enhancement on post contrast. No abnormal signals in adjacent brain parenchyma. No abnormal adjacent focal parenchymal or lepto meningeal enhancement on post contrast. Seems to be a focal ectasia i.e. 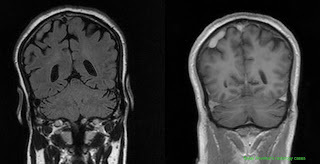 abnormal dilatation of a cortical vein with a possible thrombus in it. Superior sagittal sinus show normal T2 flow voids and flow related signals on MR Venogram being non thrombosed.